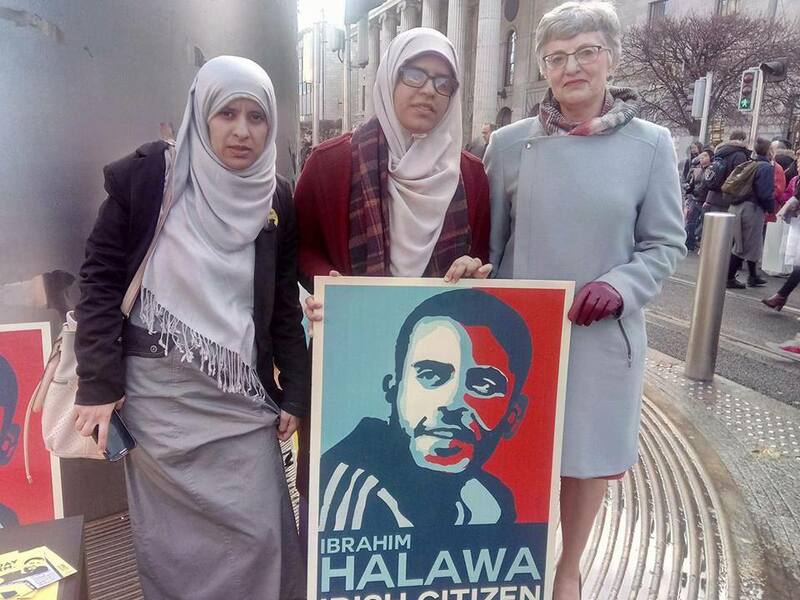 The release of Ibrahim Halawa is a huge relief for all who campaigned for this moment, according to his local TD and Independent Minister Katherine Zappone. For almost four-years I have remained in close contact with the Halawa family, in particular his sisters Somaia, Fatima and Omaima. On the streets, the corridors of power and through legal avenues the three sisters kept their brothers plight in the public eye. Their determination, commitment and love is an inspiration. They are some of the most inspiring people I have ever campaigned with. Lawyers Katie O’Byrne, Caoilfhionn Gallagher of Doughty Street Chambers as well as Darragh Mackin of KRW Law provided invaluable support and information throughout the ordeal and their persistence has also been crucial in keeping the campaign in the public eye. In recent weeks I have been in close contact with Cabinet colleagues to ensure that every possible support is offered to Ibrahim as he restarts his life. It is important to acknowledge too the efforts of our diplomatic and consular staff on one of the most complex cases to have ever involved an Irish citizen.